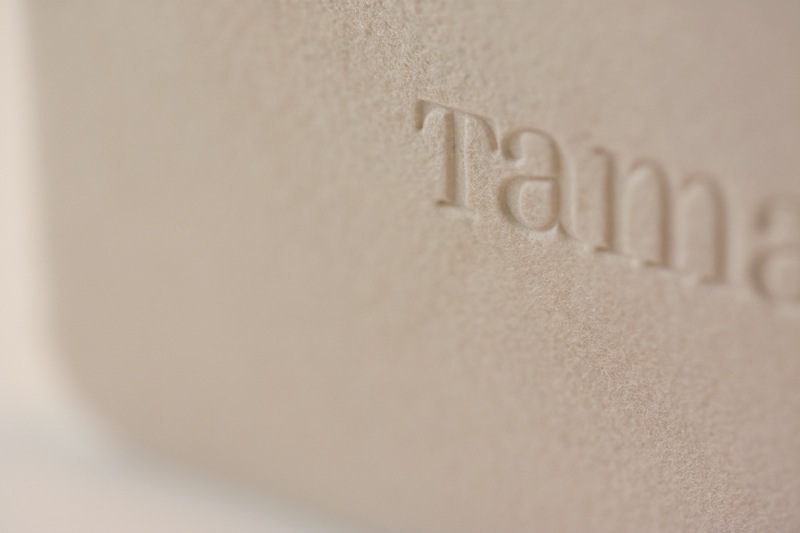 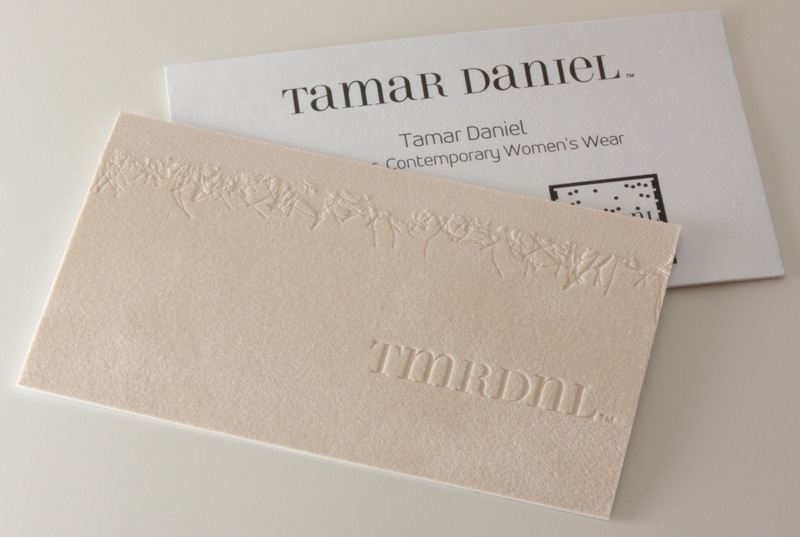 Fashion brand identity for Tamar Daniel, a boutique fashion label for women. 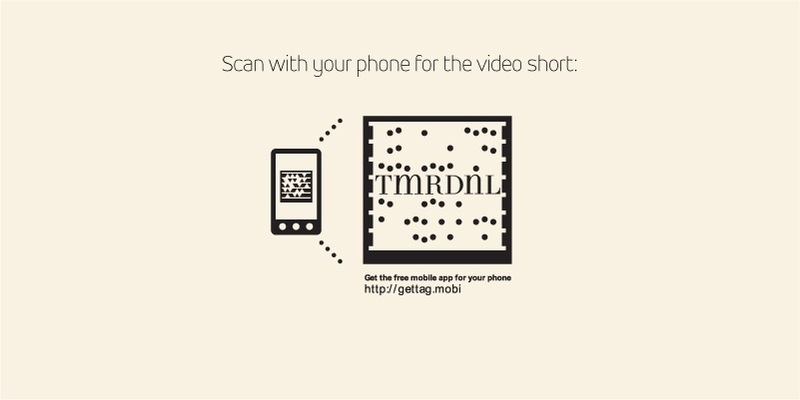 Scan the TAG code to see a video short. 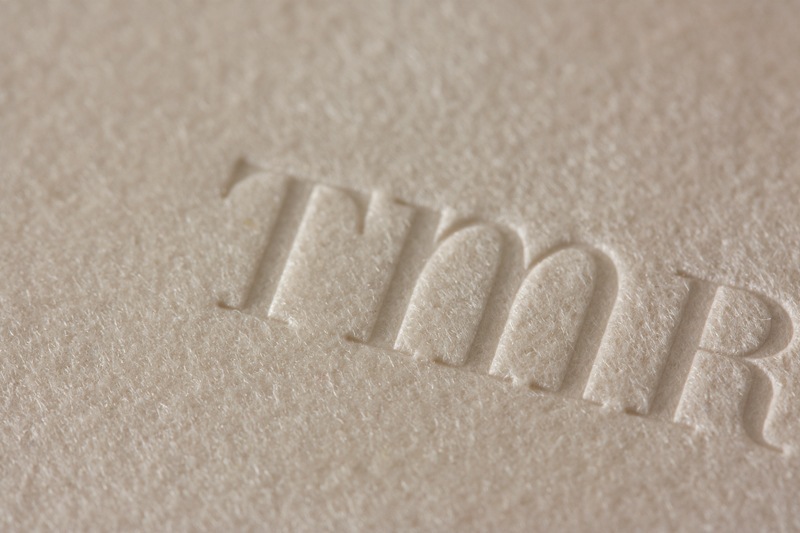 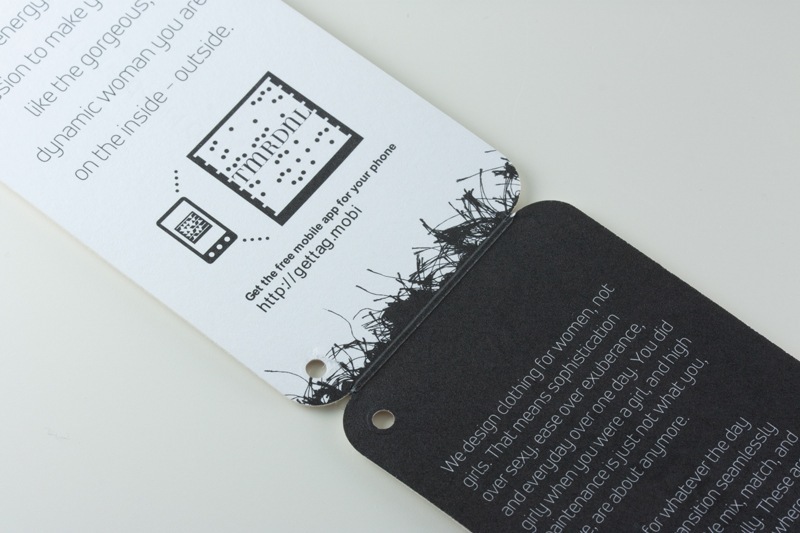 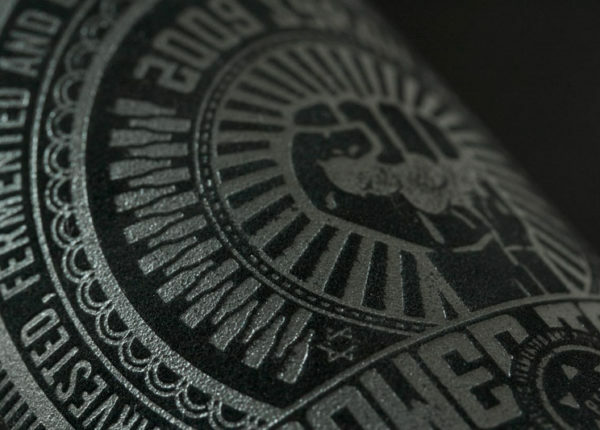 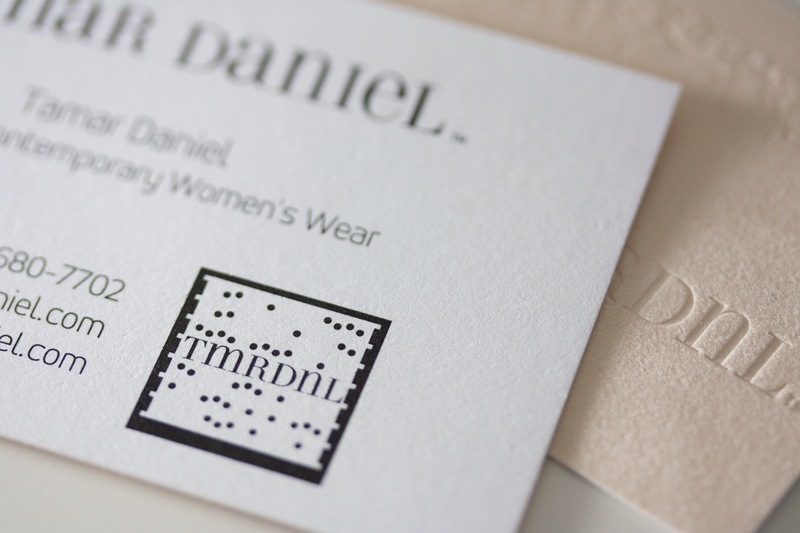 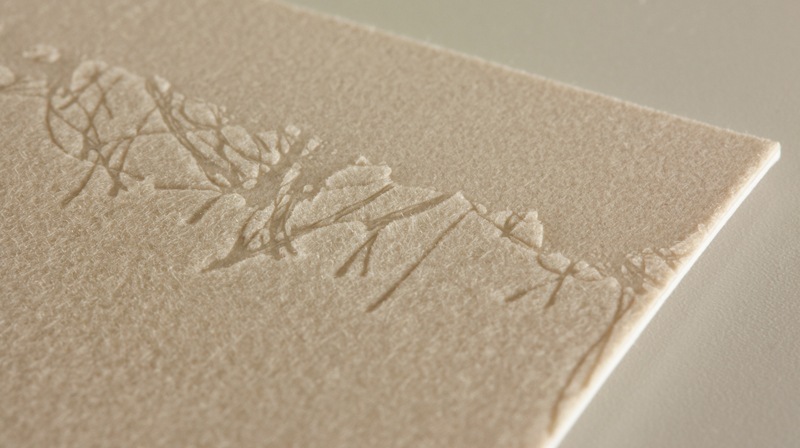 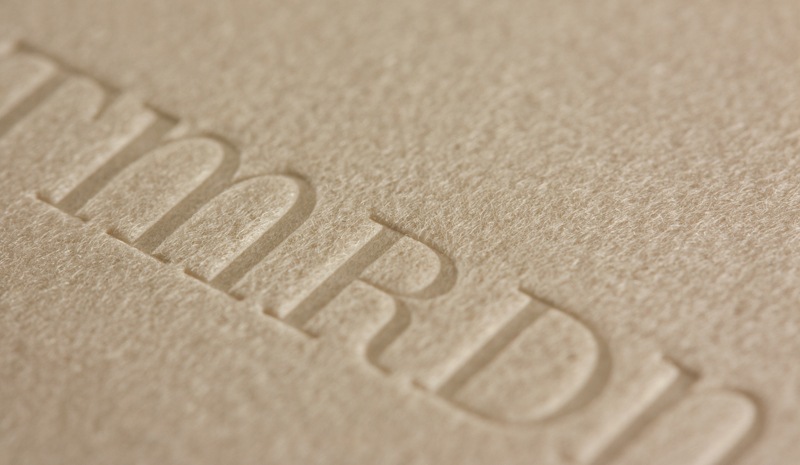 We were responsible for: brand identity, apparel tags, and stationery. 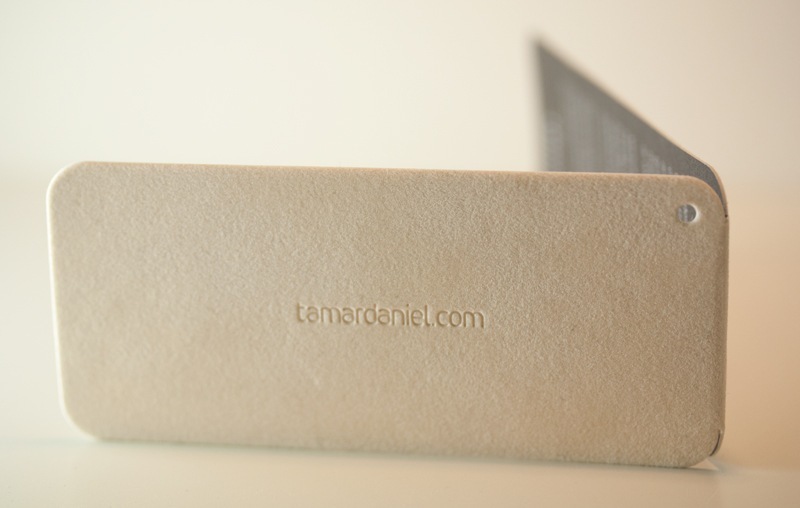 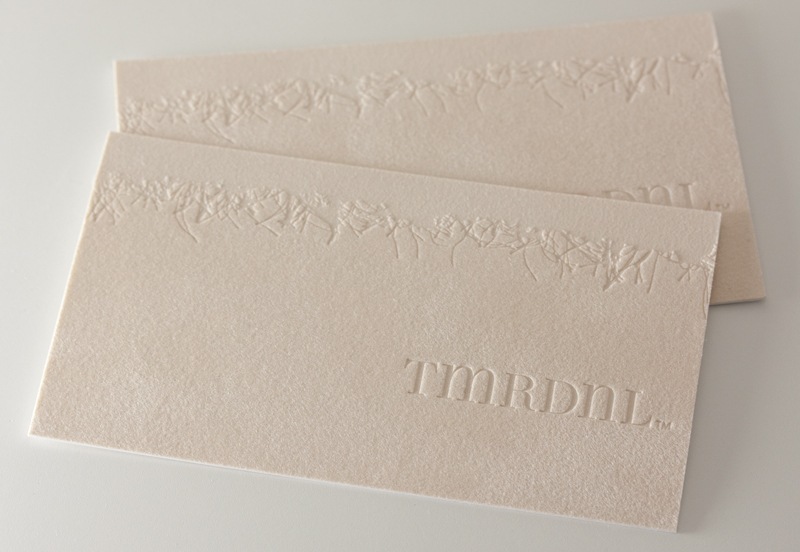 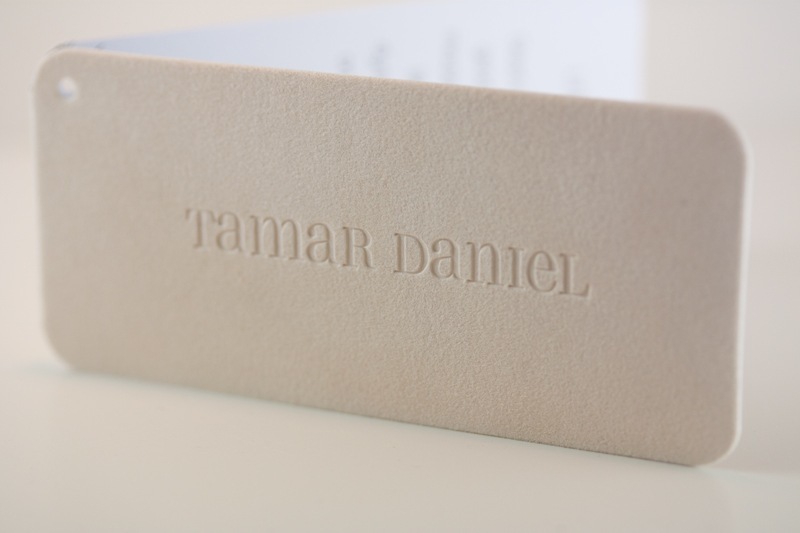 The apparel tags and business cards are laminated with camel-colored velvet paper that has been blind stamped, giving the impression of embossed suede.